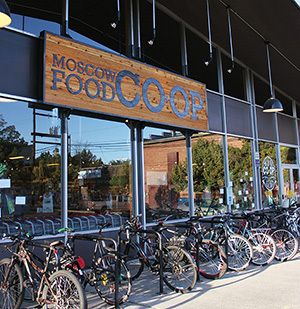 The Moscow Food Co-op was established in 1973 by friends Rod Davis, Jim Eagan, and Dave and Katie Mosel. We are guided by more than 7,500 owners and welcome everyone to shop in our store. We are governed by a democratically elected nine-member Board. 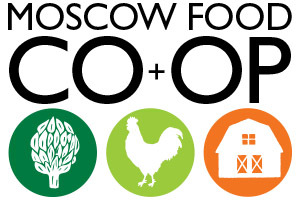 Both the story of our Moscow Food Co-op’s past and future are rooted in the cooperative values and principles as expressed through the International Cooperative Alliance. For over 40 years we have promoted our cooperative identity by being good stewards of the earth and each other. Working together has helped us do more for our community -- through providing healthy food, we have created a healthier planet and a stronger, healthier region on the Palouse. The Moscow Food Co-op located at 121 East 5th Street in Moscow, Idaho, and is open every day from 7 a.m. to 9 p.m.